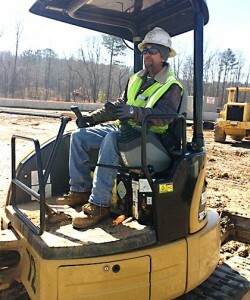 Safety is of utmost importance to Dean Electric Company. From a mandatory safety orientation at the time of hire to weekly toolbox meetings, Dean Electric Company employees are kept current on safety requirements, OSHA regulations and each individual General Contractor’s requirements specific to their jobsite(s). Job Site specific safety plans are developed for each project prior to work commencement and are reviewed frequently. All Dean Electric Company field employees are required to attend a safety orientation. Employees are expected to abide by all set forth rules in every aspect of their job. 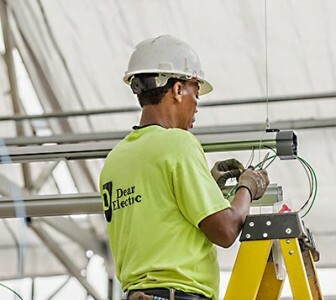 Dean Electric Company is dedicated to providing a safe work environment for its employees and the employees of the other trades that work with and around us. Dean Electric Company is a certified drug free workplace and drug tests all employees at hire as well as under the following conditions: post accident, reasonable suspicion, random and post rehabilitation. Dean Electric Company reserves the right to conduct random drug testing if deemed necessary by management. Project Managers and/or Superintendents are required to conduct weekly toolbox meetings with employees on their jobs. Topics change weekly and cover various safety concerns including ladder safety, scaffolding and heat stress to name a few. Safety concerns specific to that particular job are covered as well. Handouts are shared with all attendees and signed off on. Fully insured 1% bond rate.